Geoje is a city in South Gyeongsang province that is made up of numerous islands with loose collection of settlements scattered around the coastline. It was a bit of the detour from Jinhae but it was all worthwhile. We fall in love instantly with this quaint little countryside. The key attraction of this island is its natural coastal beauty and you can take ferry cruise to different islands to explore the scenic coastline view. 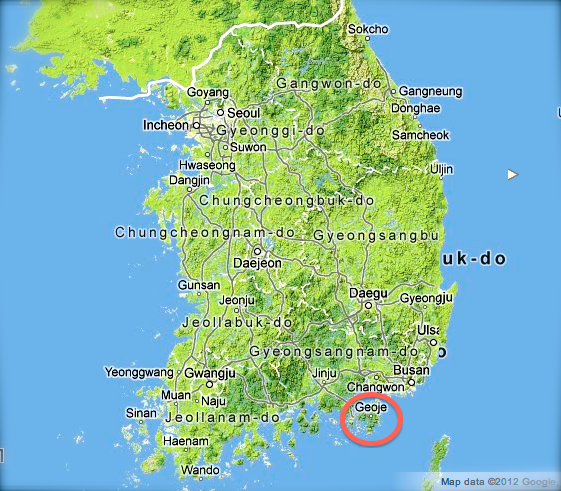 Instead of that, we decided to explore Geoje by taking the coastal road from Jinhae to Geoje and from Geoje to Yeosu. For first booking: Join www.airbnb.com/c/goayh to get travel credit!